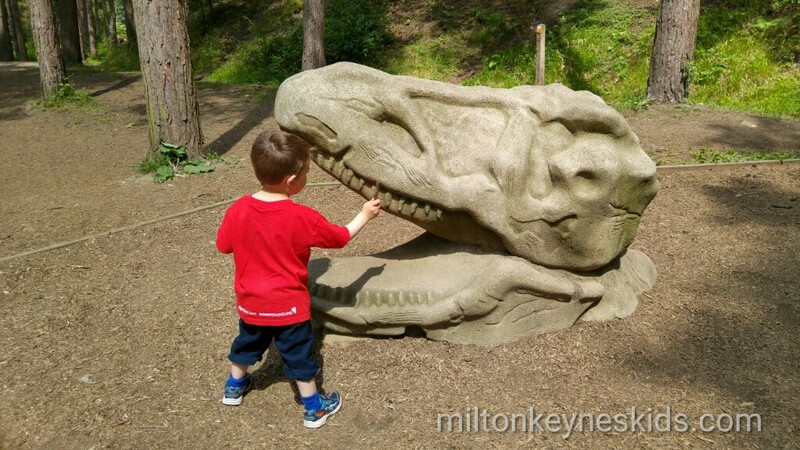 This is the Milton Keynes Kids guide to our top ten CHEAP OUT in Milton Keynes, Bedfordshire, Hertfordshire, Buckinghamshire and Northamptonshire that you can take your kids on during 2017. 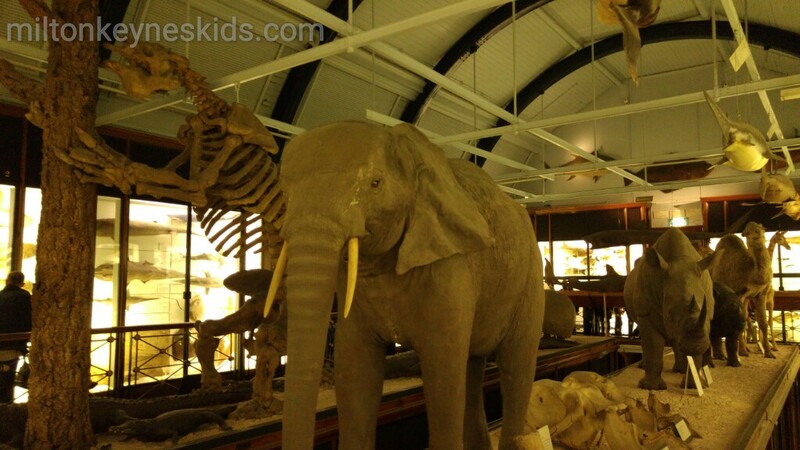 You don’t need a lot of money to have a great day out with the kids. All you’ll need is some change for parking, a picnic and possibly some spare clothes for the children if it’s muddy or wet. This is a list of 10 cheap places you can visit at any point of the year so you can keep coming back to it. All of them are within 45 minutes driving distance of Milton Keynes. Do check with each place for up to date opening times. 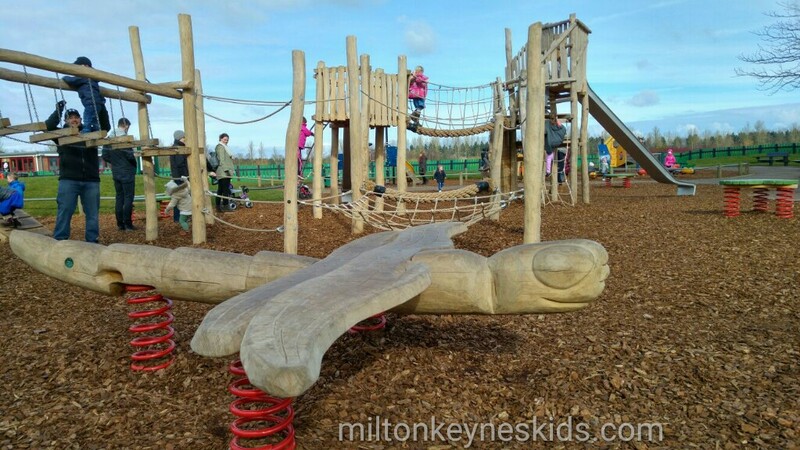 If you do go to any of them, let me know what you think and send me some photos – email laura@miltonkeyneskids.com. At peak times like hot days during the school holidays, some of them get really busy, so do plan your trips and don’t leave it too late to get there. Click on the blue writing for a full review of each place. 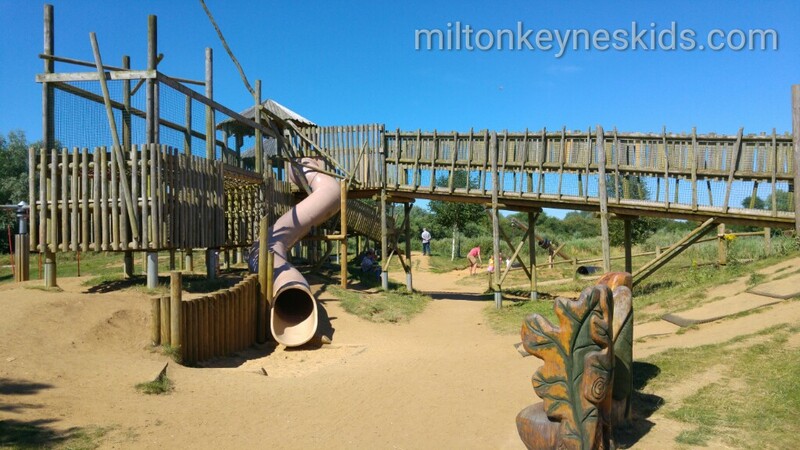 1 – Stanwick Lakes has a HUGE adventure playground, a smaller play area for toddlers and a sand and water area. Definitely take a bucket and spade, waterproofs, towel, wellies or flip flops and a change of clothes if they love splashing. 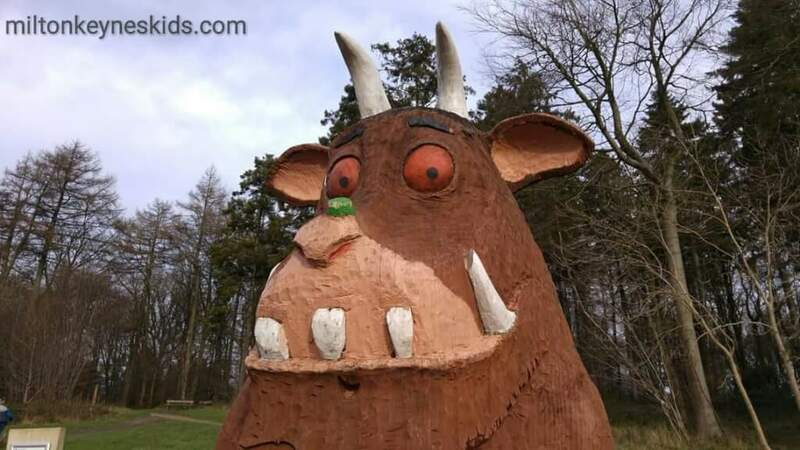 There’s an adventure trail with two climbing rocks, a rope bridge over the water, hexagonal swing and climbable animal structures and zip wire. My eldest loved climbing up into the big bird hide. 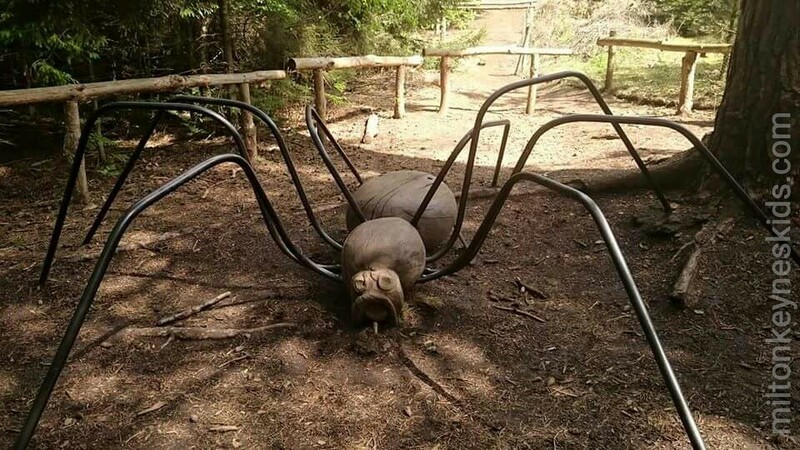 If it’s wet there’s a lovely visitors centre and small soft play area (additional charge applies). 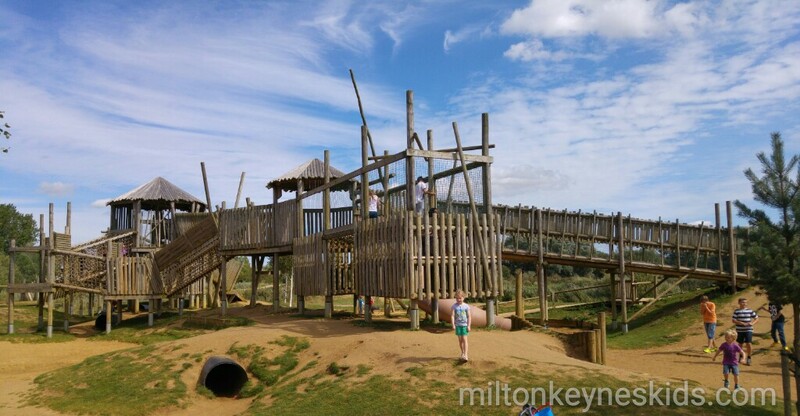 It’s in Northamptonshire approximately 40 minutes from Milton Keynes and can get really busy in the summer. Parking charges vary from £2.50 to £5.50 depending on how long you stay for and what day of the week you go. NN9 6GY is the best postcode. 3. 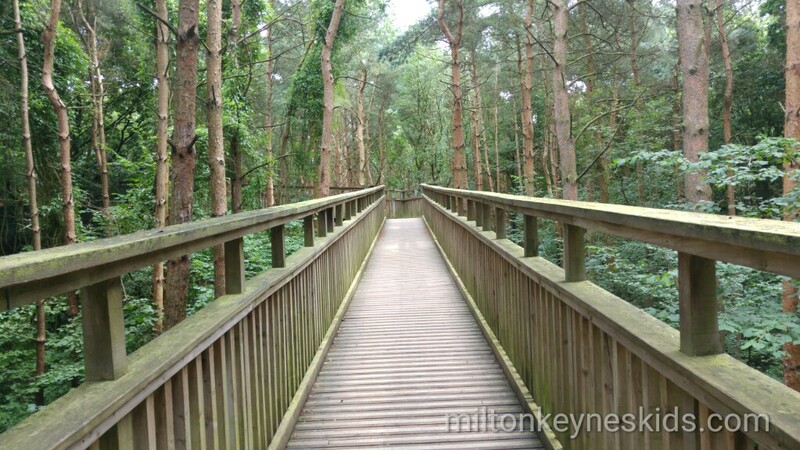 If you don’t want to travel too far from Milton Keynes then Rushmere Country Park is a must visit. It’s in Bedfordshire but is only about 20 minutes from Milton Keynes. 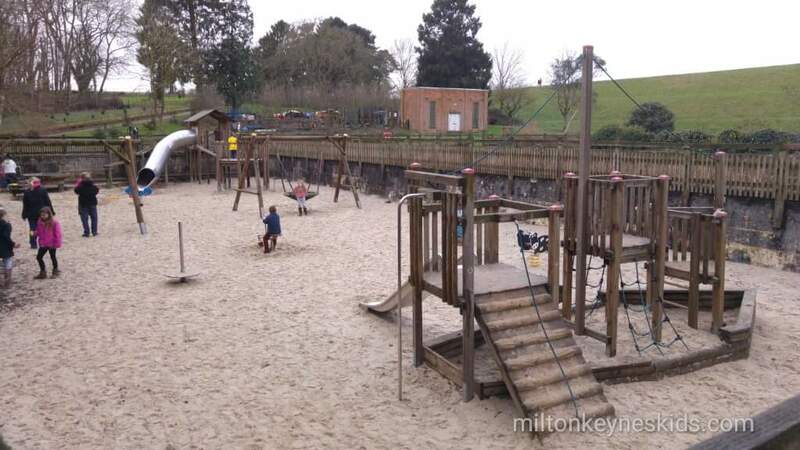 There’s a HUGE slide, a big swing and a small but nice sandpit play area near the entrance to the park. We love to search for the fairy doors, big spider, giant’s chair and carved wooden chairs – it’s an easy circuit suitable for little legs. There’s a café if it rains. A £3 car park charge is payable on exit. 8. 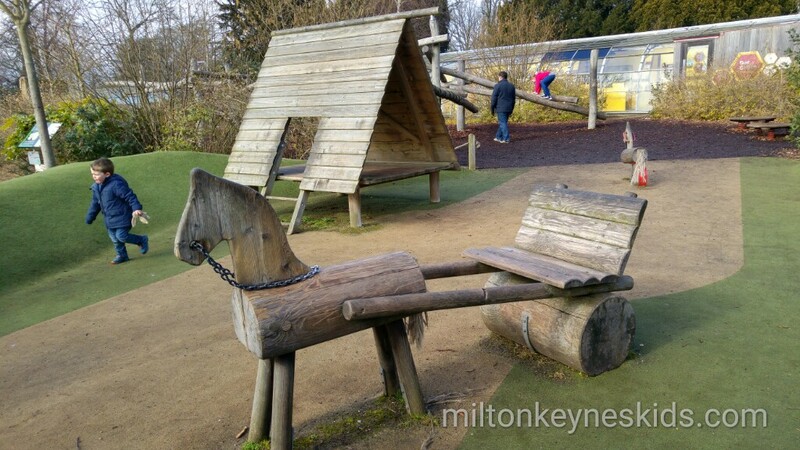 We’ve been to Willen Lake a lot since we’ve lived in Milton Keynes as it’s on our doorstep. 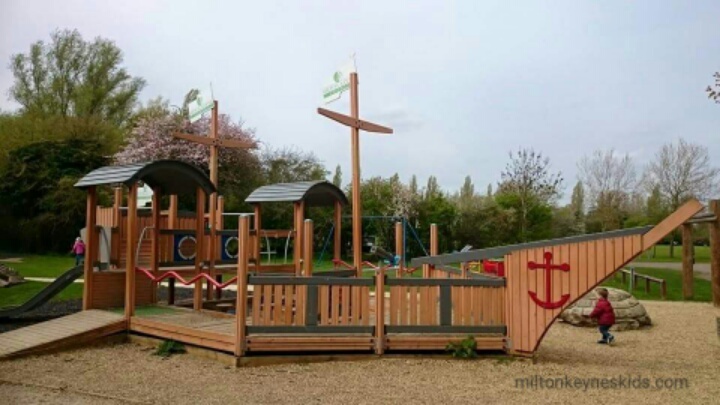 It has a fab wooden play area for children with a dragonfly and pirate ship. There are two toddler play areas which include smaller climbing frames, swings, a see-saw, a little house and rockers. We also go there to feed the ducks and go for a walk. There are loads of other things you can do but you do pay extra for them… a miniature train, pedalos, hamster zorb, segways, bike hire etc. All of the details are on their website. There is also a new splash park which costs £3 for 25 minutes and is open 12pm-6pm – you can read all about it here. When we visited to park it cost 50p for up to 30 mins, 90p for up to 1 hour, £1.40 for up to 2 hours, £2.40 for up to 4 hours, £3.80 for up 8 hours. The new car park is £3 for the day. MK15 0DS. 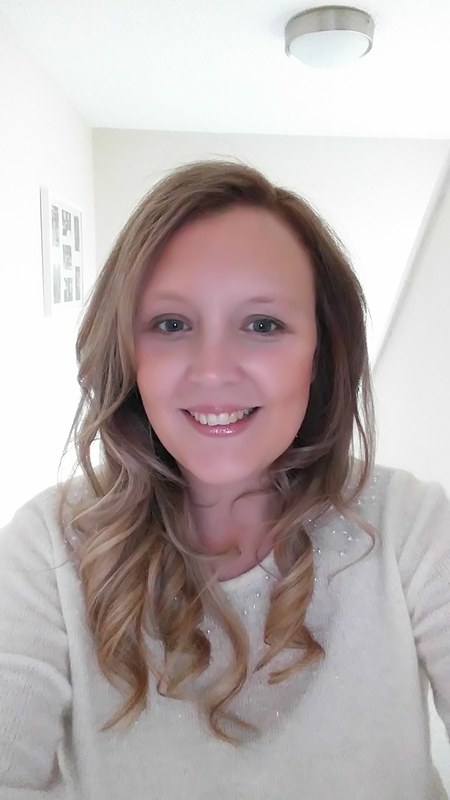 I am a childminder in Rushden and have been to some of the places you suggested but I’m glad to say that you have given me some new ideas for days out with my lovely crew.